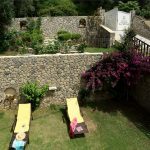 Villa Vasiliki is located on the outskirts of Pentati, which is an undeveloped part of the Island on the south west coast. 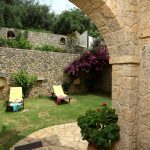 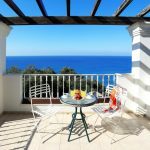 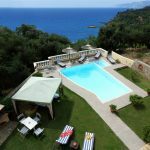 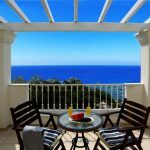 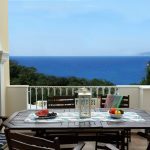 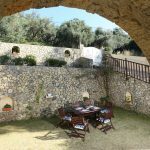 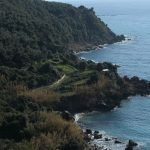 Surrounded by olive trees and the beautiful wild nature of the South of Corfu, this villa offers an atmosphere of peace & fantastic views of the sea and mountain drop. 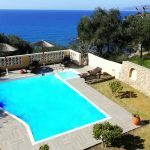 There is a pathway from the villa which leads direct to a small private beach (5 min), that is perfect for snorkelling and fishing! 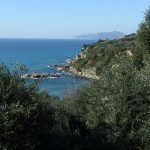 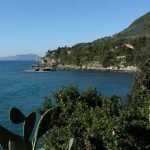 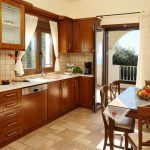 Furthermore near Villa Vasiliki there are two wonderful beaches, one in Paramonas that can be reached within 8 minutes drive & one at Agios Gordios that can be reached within 10 minutes drine. 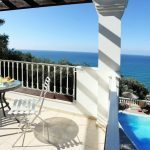 Double bedroom with ensuite bathroom, A/C unit, flat screen TV, terrace sea biew, & patio doors leading to the swimming pool. 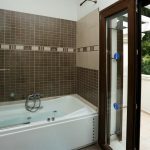 Twin bedroom with ensuite bathroom, A/C unit, flat screen TV, terrace sea biew, & patio doors leading to the swimming pool. 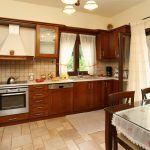 Fully fitted kitchen with dining area, spacious living room with a bigger dining area, WC and washbasin & balcony with dining area, sea view and swimming pool view.